Golovkin’s promoter wants him back in August; targeting Chavez Jr.
By Allan Fox: Tom Loeffler, the promoter for IBO/WBA middleweight champion Gennady Golovkin (27-0, 24 KO’s), plans on having Golovkin fight twice more this year with his next fight being in August. Loeffler is hoping that he can get a fight between Golovkin and former WBC middleweight champion Julio Cesar Chavez Jr. Unfortunately the chances of Chavez Jr. or his promoter Bob Arum saying yes to that fight are probably not very good. A Golovkin-Chavez Jr. fight would be a lot bigger match-up than Chavez Jr. vs. Brian Vera, which is probably going to be the next guy that Chavez Jr. faces. Chavez Jr. is coming off of a loss to Sergio Martinez, and a long layoff since he last fought. Those are two pretty good reasons why Arum and Chavez Jr. will choose not to put a fight together with Golovkin. Vera is tune-up bout for Chavez Jr. to get ready for a possible rematch against Sergio Martinez. Golovkin’s options for August aren’t all that good. He’s not going to be facing any of the middleweight champions – Daniel Geale, Peter Quillin or Sergio Martinez – because those guys are either busy, not interested or healing from injuries. Golovkin will likely have to face one of the top contenders in the division like Martin Murray or Andy Lee. It’s doubtful that Murray would accept a fight with Golovkin with only one month to train for the fight. Andy Lee might not be open to the idea of fighting Golovkin with that kind of preparation time either. 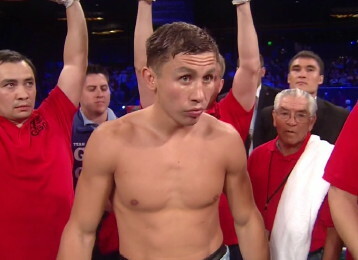 The problem with having Golovkin fight so soon is it limits who he can fight. So most likely it’ll be someone in the same class as the guys he’s beaten recently. Boxing » Gennady Golovkin » Golovkin’s promoter wants him back in August; targeting Chavez Jr.